What: WV DEP Water Quality Standards Public Listening Session on Water Quality Standards (see details below). DEP wants to hear from you on the potential effects of revising human health criteria. Show up to defend our water! When: Thursday, January 17, 2-4 p.m.
West Virginia Rivers Coalition is collecting signatures on a petition on this matter. You may sign the petition at the meeting this Thursday. You may also download, print and collect signatures yourself. Be sure to get the signed petitions back to Rivers in time for them to be presented to the Legislature on E-Day!, which is February 7 (more on that below). See more from WV Rivers Coalition here. News: On chemicals in the water, who speaks for the health of the people? WVEC, or E-Council provides lobbying support for groups like OVEC. One of our legislative priorities EVERY year is to protect drinking water. This year it is our top priority. One issue we are currently working on ensuring that the DEP’s water quality standards rule, which is undergoing a regular triennial review, includes the latest EPA-recommended guidelines relating to human health criteria. This year, in a shocking turn of events, a last-minute change to the draft rule was made by the rulemaking review committee at the behest of industrial polluters. You can read more about that here. The amended rule relies not on the most recent, evidenced-based science, but takes us back to science conducted prior to 1985. In 2015, the EPA recommended that the DEP update its standards to protect West Virginians from toxins in drinking water. WVDEP chose to adopt some, not all, of those recommendations for its proposed rule, but the West Virginia Manufacturers Association had a trick up its sleeve and–at the eleventh hour–asked that the rulemaking review committee make the agency stick to the outdated science. Right now, the Water Quality Standards rule has been introduced in both the House and the Senate, but the plan is to run it (along with all other DEP rules) on the Senate side where it has been referenced to the committees on Energy, Industry and Mining and Judiciary. We are working with West Virginia Rivers to have the rule amended to include the 94 recommended updates, but we need your help. The WV DEP has agreed to host public listening sessions on the water quality standards and we need people to fill the room! 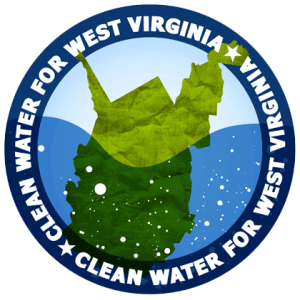 Let them know that West Virginians deserve clean water and that we want our water quality standards updated to reflect the EPA-recommended human health protections! Next Thursday, January 17, the WV DEP will be hosting a public listening session on water quality standards. DEP wants to hear from you on the potential effects of revising human health criteria.